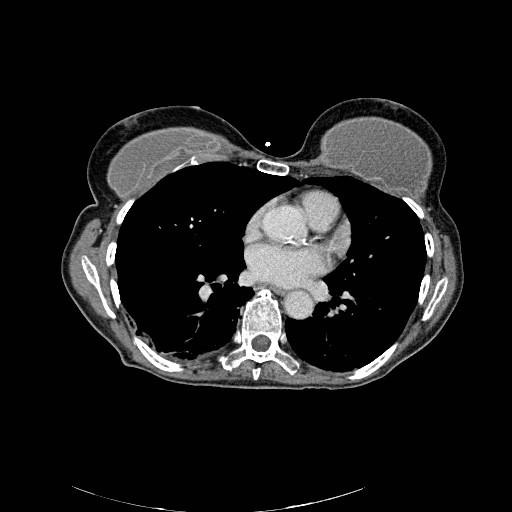 Below: CT image showing collapsed ruptured right-sided silicon prosthesis with ”Linguine sign” which are folded in wavy multidirectional lines within the silicon gel. Note the normal prosthesis on left side. Gliosis is a nonspecific reactive change of glial cells in response to damage to the central nervous system (CNS). In most cases, gliosis involves the proliferation or hypertrophy of several different types of glial cells, including astrocytes, microglia, and oligodendrocytes. Below: CT scans without contrast show enlargement of lateral and third ventricles, but not the fourth ventricle, due to aqueductal stenosis. Dementia with Lewy bodies (DLB), also known under a variety of other names including Lewy body dementia (LBD), diffuse Lewy bodydisease, cortical Lewy body disease, and senile dementia of Lewy type, is a type of dementia closely associated with Parkinson’s disease. 3. 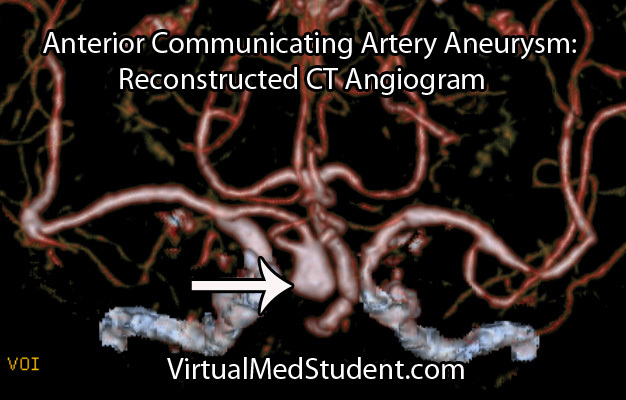 78 yo female, Alzheimer’s, frontal lobe atrophy, A1 portion of ACA – aneurysm, hemodialysis, CLIP or IVR? Clip is open and cheaper, IVR involves coiling with platinum which is safer but costs as much as a Mercedes Benz! Encephalomalacia is the softening or loss of brain tissue after cerebral infarction, cerebral ischemia, infection, craniocerebral trauma, or other injury. This case shows the end result of a large middle cerebral artery territory infarct. Over time, the necrotic brain undergoes liquefaction and becomes progressively lower density on CT and progressively higher signal intensity on T2-weighted MRI. 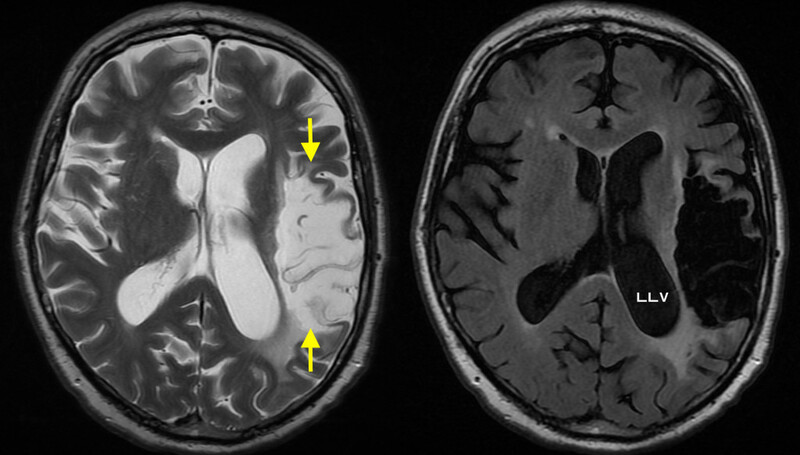 The image on the left here is a T2-weighted MR and shows the large area of encephalomalacia (arrows). On the right is a FLAIR image (which suppresses the signal from CSF) and shows that the signal in the infarcted area tracks that of the CSF in the ventricles and sulci. 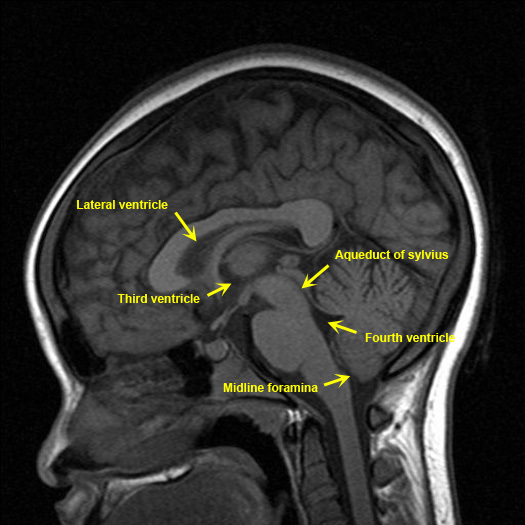 Another feature of encephalomalacia is that the associated volume loss often results in compensatory dilatation of the adjacent lateral ventricle, as in this example (LLV= left lateral ventricle). 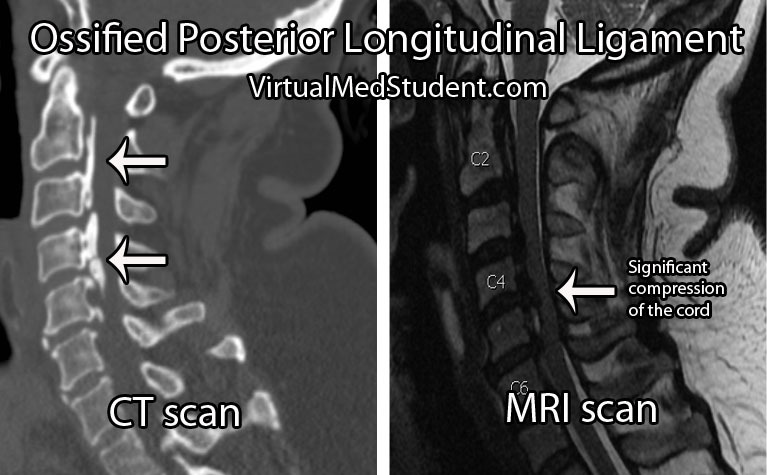 Differentiating new from old infarcts is usually relatively straightforward on MRI (especially if we look at the diffusion-weighted sequence – have a look at the MRI section if you need to recap your knowledge of MR sequences), but it’s worth knowing that recent infarcts will be hyperintense on FLAIR and will be associated with mass effect rather than volume loss, resulting in compression of the adjacent lateral ventricle. 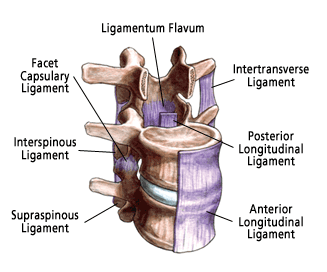 Ossification of the posterior longitudinal ligament (OPLL) is typically an entity seen in patients of Asian descent, although it is seen in all ethnicity. 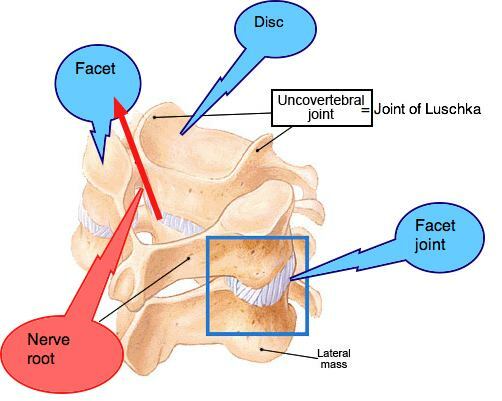 It is characterised by, as the name suggests, ossification of the posterior longitudinal ligament.